Delivery includes Mass Combi 12/2200-100 + ICC remote panel + APC remote panel. 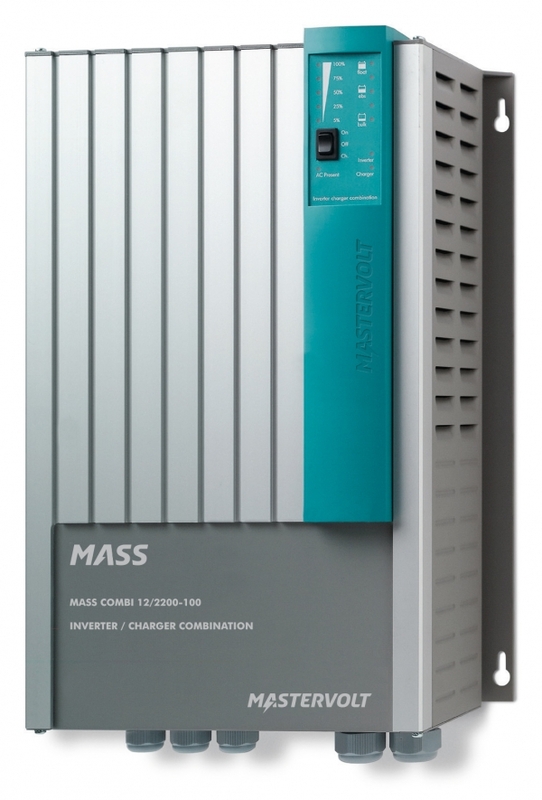 A Mastervolt Mass Combi offers best price/quality ratio. 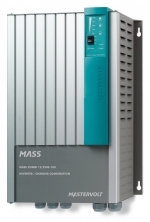 The exceptionally reliable Mass Combi series offers a lot of power at a highly competitive price. In addition, the four models are also available in two customer-friendly variations with remote control or MasterBus. The powerful 3-step+ battery charger guarantees maximum battery life and can simultaneously charge two battery banks. The inverter with high peak power starts even the heaviest loads, with the Mass Combi 12/1600 being easily sufficient for your espresso machine. A built-in distribution system switches between grid and inverter power, while two separate AC outputs allow users to connect critical loads to a preferred group. The Mass Combi enables the expansion of a grid connected solar power system with energy storage in batteries. This way the majority of the generated energy is used, and users are less dependent on the electricity grid. In this setup, the Mass Combi is part of a MasterBus controlled system. Compact, lightweight and no hum thanks to HF technology. High yield and more power from your batteries. Intelligent 3-step+ battery charger with low DC ripple current for fast charging times and long battery life. Charges two individual battery banks simultaneously. Quiet, powerful inverter with 200 % peak power. Power Assist: prevents blown fuses. Pure sine wave energy prevents failures and damage to sensitive equipment such as adapters. 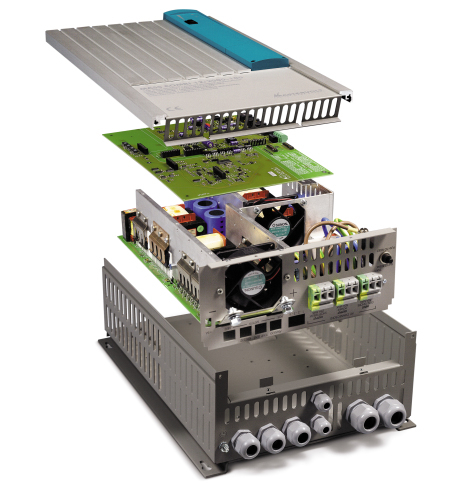 Dual AC outputs to separate critical equipment from heavy loads. Higher yields possible via parallel switching (only for 2200 and 2600 W models). Professional connections ensure fast installation and operational security. CE approved and E-marking for mobile applications. To integrate the Mass Combi into a MasterBus system in a simple manner, Mastervolt can deliver all Mass Combi models in a MasterBus version. 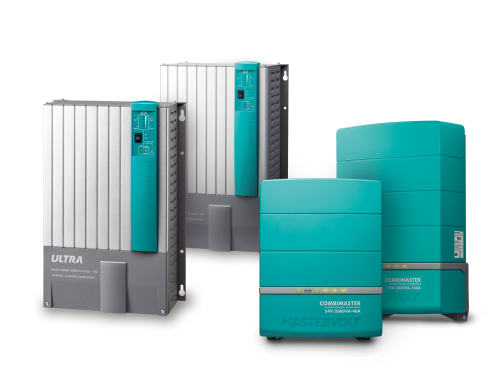 The relevant product code includes the Mass Combi model of your choice, complemented by a MasterBus Combi interface. 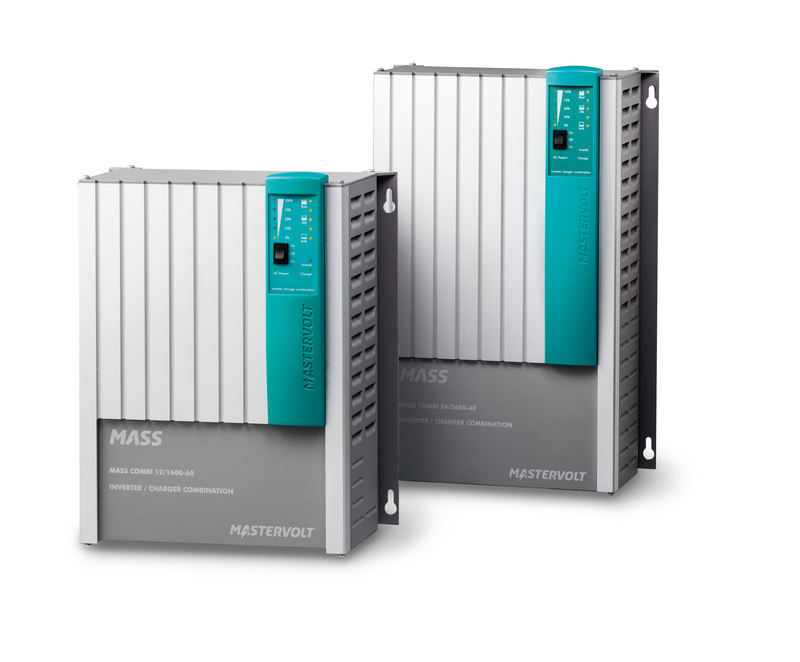 In addition, Mastervolt can provide all Mass Combi models in a Remote version so that the AC and DC power status can be monitored remotely. The relevant product code includes the Mass Combi model of your choice, plus an ICC and an APC remote control panel.